From this September, the city of Kuwait will host a new branch of the Barça Academy project, and will join the Dubai school (UAE) as the second such academy in the Middle East. This new initiative will be carried out at the facilities at Salmiya Boulevard, in one of the most populated areas of the capital city where there is a high number of football fans. The aim of the new Barça Academy Kuwait is to bring together close to 200 sportspersons aged between 4 and 18 during its first year. The setting chosen for its headquarters is within a government complex dedicated to locations for health and wellbeing, featuring two full-sized football pitches, a cricket stadium, tennis courts and various sports courts. FC Barcelona have spent recent years working on different projects to be able to bring a Barça Academy headquarters back to the country, where they had a presence in the capital over the course of seven seasons up until the summer of 2014. The partner of the new school is Stryx Sports, who currently manage the Dubai school opened in 2008 and coaching close to a thousand sporspersons. 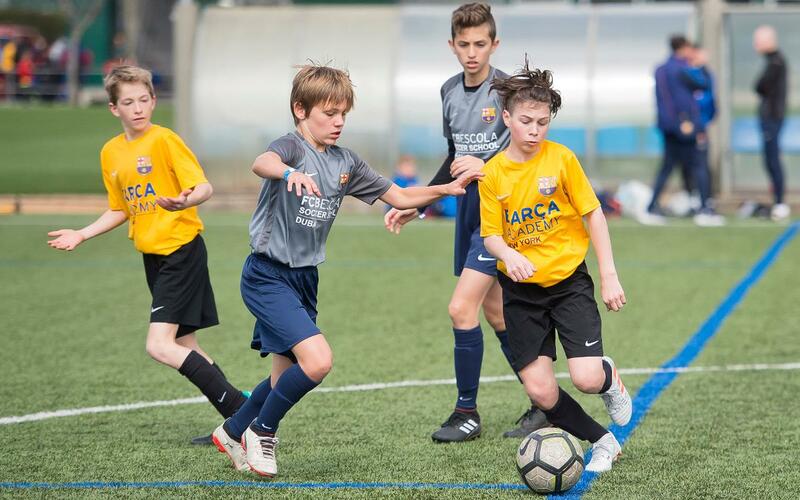 The Barça Academy is FC Barcelona’s own football school model directed at children, with the main objective being the integral training of its alumni. This football school model, exported internationally, intends to spread the Barça brand and transmit the working philosophy and values of the club around the world. The Barça Academy works with its own unique model, based on the Barça methodology from the earliest levels through to the first team. It involves a creative, attacking style of play, and with the indispensible transmission of values: Respect, effort, humility, ambition and teamwork, with proven results. Currently, FC Barcelona have a total of 44 Barça Academy projects around the world, more than 180 Campuses and 50 Clinics, and a presence in 52 countries in five continents. It has the participation of more than 45,000 children amongst the different promoted activities. The Barça Academy projects are divided into the Barça Escola in Barcelona, the Barça Academy Pro in Haikou (China) and New York (USA), the Barça Residency Academy in Casa Grande (Arizona, USA) and 40 further Barça Academies.